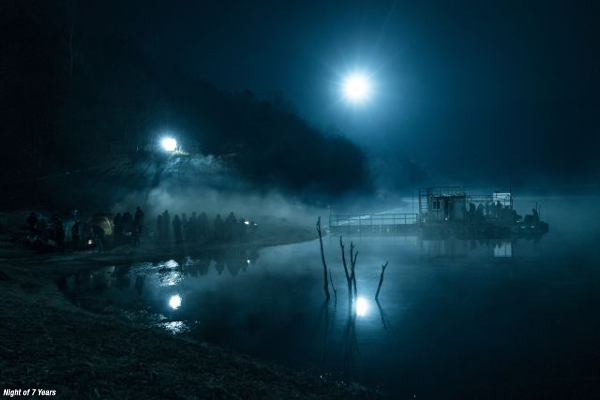 The upcoming thriller Night of 7 Years wrapped its production on May 25th in the town Goyang in the Gyeonggi-do Province, which is adjacent to Seoul. Filming took place over six months on the feature, which stars JANG Dong-gun and RYU Seung-ryong and was directed by CHOO Chang-min. Based on a JUNG Yoo-jung's novel of the same name (the writer who also penned Shoot Me in the Heart), the story features RYU playing a guilt-striken father who accidentally causes a young girl’s death and tries to cover it up. JANG incarnates the girl’s vengeful father who goes after the grown-up son of his daughter’s killer. Due to be released at some point next year, Night of 7 Years is the first feature film for actor JANG since he appeared in the pitman action-thriller No Tears for the Dead in 2014. Meanwhile RYU, who has slowed down after a few big years that saw him headline hits such as Miracle in Cell No.7 (2013), The Target (2014) and Roaring Currents (2014), was last seen in musical period drama THE SOUND OF A FLOWER. GO Kyoung-pyo of Coin Locker Girl (2015) and MOON Jeong-hee of Hide and Seek (2013) play the son and wife of RYU’s character while A Girl at My Door (2014) star SONG Sae-byeok rounds out the cast. Night of 7 Years marks director CHOO’s long-anticipated return following his smash hit period drama Masquerade, which soared over 12 million admissions in 2012 and also featured RYU in a supporting role.